In school we learned about brave pioneering folk who travelled west, put down their roots and their crops, built cabins then prairie dynasties and their families owned the land for generations. They made it sound like once settlers secured a Land Grant no one went much farther than the local church or possibly the next town ever again. But that was generic Pioneer history taught from textbooks. We have postcards — lots of them — that tell our family’s version and it’s quite different from the ‘settled settler’ one. While the urge to farm on their land and succeed drove them hard, there was also the urge to explore even farther when there was the chance. Walter wasn’t the only person Harold knew who adventured West and wrote back about it. In the summer of 1910 (the year before the family met Walter) Harold’s parents left the boys in charge of the farm and travelled across the mountains to visit family on the West Coast. They spent July and August there, enjoying many of the local sites. The following year (the same summer Walter travelled to Cardston) Harold’s mother made a second trip on her own to the West Coast. She was in her mid-forties by then, yet the backs of her post cards are filled with lively adventures. 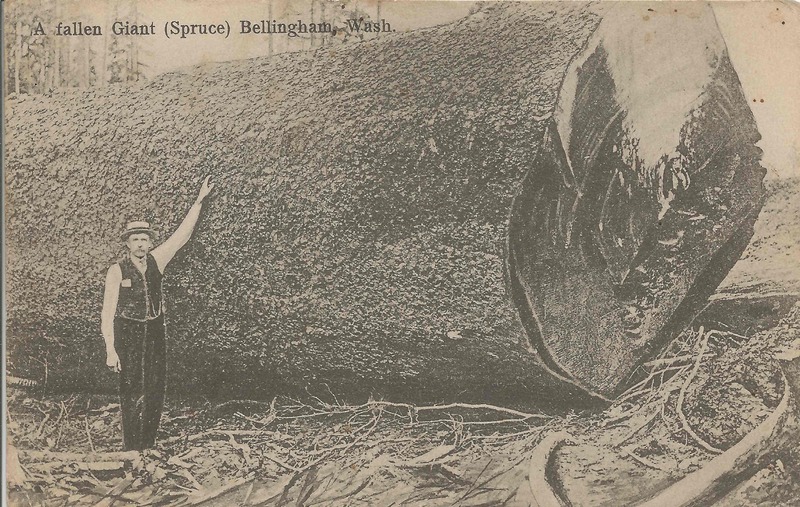 She visited her sister Isabella and family living in Bellingham, Washington, a timber boomtown due to the reconstruction work in San Francisco after the 1906 earthquake. While visiting, Harold’s mum sent several postcards to Harold including one telling of their wonderful time spent on Lake Whatcom. Once back over the border, Catherine stopped in Aldergrove to visit her sister-in-law and family then tram-hopped her way back to Vancouver. The Ringling Circus came to town that week and Catherine, and her sister-in-law took the children to watch the parade. Even before his parents travelled to the coast, Aunt Isabell, as she spelled herself, sent Harold at least one postcard (in 1908). It showed a giant felled cedar tree on the trunk. 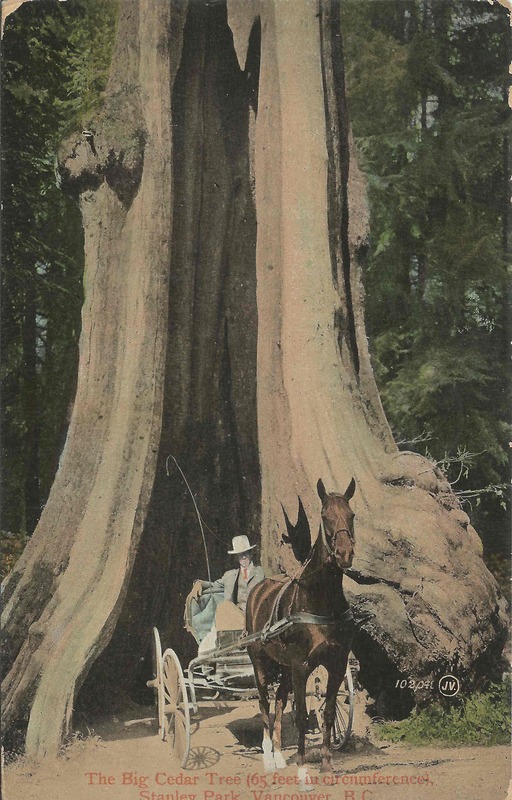 The radius of the trunk is twice the height of the man proudly leaning against it. His auntie promised to send him more in the future, and hoped he would come to visit someday. So many places to go and extraordinary sights to see. For years I thought my grandfather was a deltiologist (although I didn’t know the term then); I have more than a hundred post cards from his younger life. But as I’ve become a better historian, I have learned to ask better questions. Instead of wondering — Was Harold a collector of postcards?, I set out to answer — Why are there so many postcards? After reading about the history of picture post cards — the short answer is that post cards were the emails and Instagrams of their time. They became popular after the World Fairs and Exhibitions in Paris, London and Chicago used them to commemorate their events. Soon every town and city was selling them as a way of promoting their local sights and civic accomplishments to tourists. People were collecting and sending hundreds of millions of them around the world each year. Post cards were perfect in so many ways: they had just enough space to dash off three or four lines, were cheap to post, and captured a place if you didn’t own a new-fangled Kodak camera. Receiving postcards always make me restless, even if they are the kitschy ones flaunting fluffy native animals or photo-shopped sunsets. Postcards rub my nose in the fact that I’m in a small, comfortable corner of Australia – bogged down in routine — no sign of adventure in sight. I know that’s only the view from where I sit; many people would trade places with me in a shot, but postcards are a reminder that someone is out there living large while I are not. I become restless because I’ve never seen that beach, that animal, that city. Maybe I don’t even want to; it’s just a reminder of being stuck. I’m stuck and they are not. I can’t help but think that maybe it was the same for Harold. Perhaps it’s no wonder he was able to talk his parents into letting him head overseas. 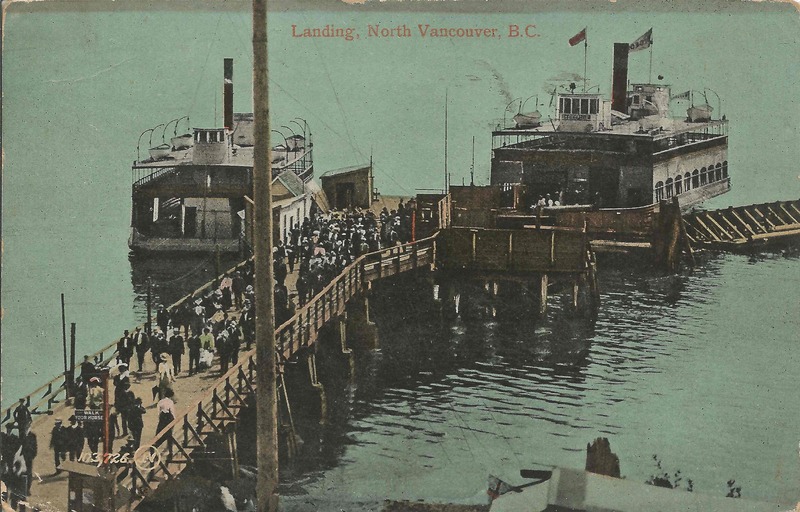 This entry was posted in Historical Perspective, Reflections and tagged Bellingham, British Columbia, Gillespies, history, pioneers, post cards, postcards, settlers, travel, Walter Cripps, Washington on July 5, 2015 by Catherine Hainstock.